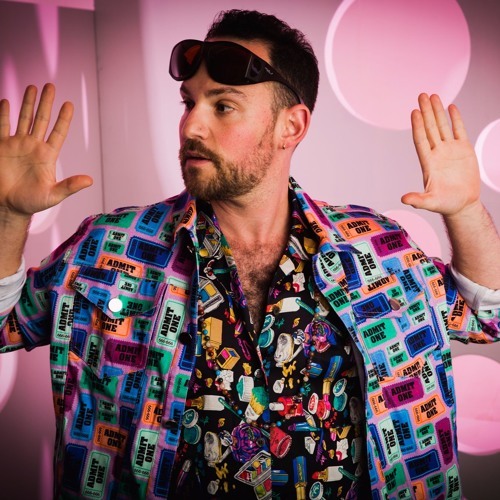 Lonely C is the brainchild of Charles Levine (also one half of Soul Clap) an emotive psycho-naught who came of age during the 90’s rave days and is currently splitting a time share on planet Earth. With 20 years of DJ experience he is most at home in the DJ booth, but that has not stopped him from taking it to the stage to sing, play keys/synths and beyond. From House music, to electro, disco, funk, soul, R&B and dub, musical eclecticism is his key to moving bodies and shaping minds. Lonely C is typically associated for his work as one half of the DJ/Production duo Soul Clap who spent the past decade touring the world (collaborating with legends such as George Clinton (Parliament-Funkadelic), Nona Hendryx, Louie Vega and Midnight Magic to name a few) and are founding members of the Brooklyn based musical collective Crew Love; however Lonely C is Charles’ latest solo endeavor and with a recently finished full length album titled “Lonely C - Charles & Tribulations” 2018 is looking to be a very exciting year for new growth.